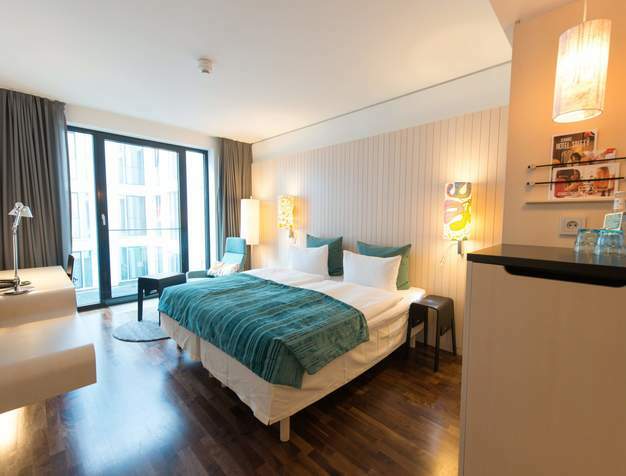 Located in one of Berlin’s busiest squares, this “green” trendy cosmopolitan oasis is within walking distance of some of the most iconic city landmarks. This centrally located hotel with plush and cozy Scandinavian décor is a favorite among the business minded traveller. Its impeccably comfortable, upscale rooms are fitted with trendy working desks and laptop safes. The 24/7snack shop and gym are nicely complemented by the hotels's proximity to all the major shopping areas and attractions. With a breakfast buffet which includes organic gluten and lactose-free options and the panoramic gym on the 8th floor, guests don’t have to break with their valued routines to work in and enjoy one of Europe’s most vibrant capitals. Each of the 561 rooms spread over the property’s 8 floors features hardwood floors and a floor to ceiling window. With clean Scandinavian lines, light wood furniture, and plush white bedding. "Staff very friendly and helpful. Location was excellent. Just a short 5/10 min walk to some great bars, shopping malls and about 1 min walk to the nearest subway. Hotel very modern and well equipped. Will happily stay here again." 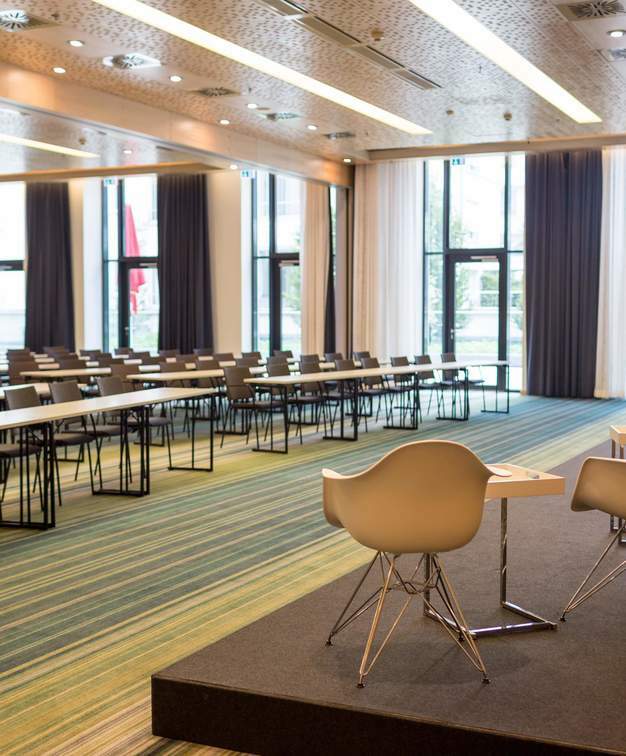 With 19 outstanding meetings and events rooms equipped with state-of-the-art equipment and a 527sqm ballroom with an adjacent terrace, this cosmopolitan location and the dedicated and experienced team will work hard to make your corporate event a success. 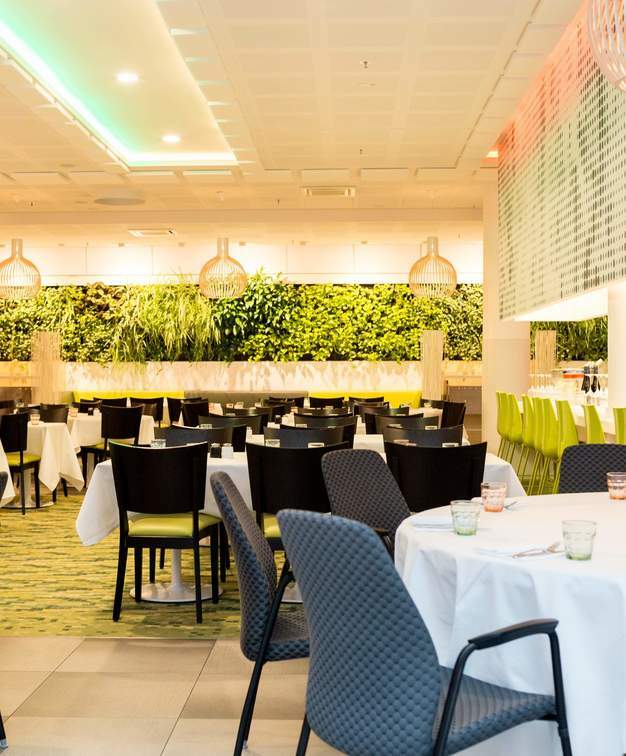 Breakfast, lunch and dinner are served at the hotel’s cozy and inviting, Scandinavian inspired lobby restaurant serving international cuisine and some local specialties. Guests and passersby alike can also relax and enjoy a drink at the unique onsite bar. 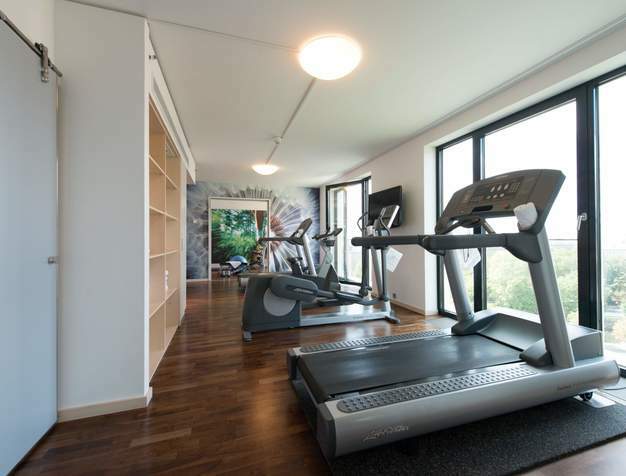 The Gym located on the 8th-floor offers panoramic views over the Potsdamer Platz, and the nearby Tiergarten Park, which is also ideal for jogging and afternoon walks. The more adventurous can borrow one of the bicycles available at reception and explore the city on wheels.